Leicester City have announced their annual awards following a gala dinner that took place in the Great Hall at the Walkers Stadium last weekend. Richie Wellens was the big winner on the night as he walked away with the Player of the Year award as voted for by Foxes fans, whilst Andy King took the Players' Player of the Year trophy. 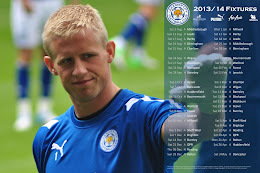 Wellens' triumph was doubled as his excellent season was rewarded with a second prize, awarded by the local media for his sterling efforts in the Leicester midfield. Other awards went to those on loan at the club. Kyle Naughton picked-up the prize for Young Player of the Year whilst Yakubu took the Goal of the Season trophy for his volley against Derby County.